When Lacey Terwilliger finds out that her husband of eight years is cheating on her with his secretary, she fights back. For eight years she's been the little woman, the housewife dedicated to her husband's career and their social standing, chairing causes, setting up lunches and meetings, doing whatever she could and whatever he asked to further his career. And when she thinks about it, she can't even say she was happy in the marriage. She was consumed by it. So to have her husband become such a tragic cliche blows her world apart...then ignites her temper. In a fit of well-deserved fury, she emails every single friend, client, and family member with the monthly newsletter that she writes for her husband. Except this one is a heck of a lot more...newsworthy. When that letter goes viral, everything in Lacey's life pretty much hits the fan. She leaves her husband, but the ensuing media frenzy forces her to leave town. People hate and are embarrassed by her, her soon-to-be ex-husband is suing her, and her own father is giving her the cold shoulder. She slips away to her lakeside cabin to lick her wounds, only to find surly, unfriendly neighbor Lefty Monroe, who is ready to bite her head off every time he sees her. At first it didn't seem like the second phase of her life was off to a very auspicious start, until Lacey realizes that the very thing that got her into this mess to begin with, her writing, could be exactly what gives her a new chance at life...and love. 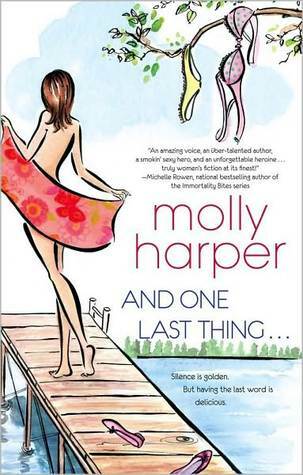 Written with Molly Harper's quirky sense of humor, And One Last Thing ... is a light, humorous chick lit read. It was nice to see Harper transition into a non-paranormal genre. I appreciate her sense of humor and enjoy her technical skill and writing style. 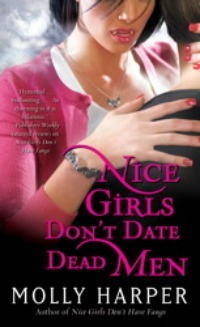 I hesitate, though, to consider this a romance novel, as it spoke louder to me as light woman's fiction. I was more compelled by Lacey's evolution from a woman who defined herself by her husband's career to a woman who found her independence and blossomed. The romance was more of a subplot in that regard and while I enjoyed Monroe and liked him and Lacey together, the evolution of their relationship hit a few sour notes with me. There were a few times when Monroe's reaction to some of Lacey's actions and decisions seemed a bit...over the top or overly vehement. The humor in the book was a bit more muted than I'm used to from Harper. It was a less comedic read than either her Jane Jameson or Naked Werewolf series. But maybe that's just my impression because I sympathized with the betrayal to such a degree. I wasn't thrilled at Lacey's father's lack of support, though, or how often Lacey got smacked on the hand for posting that letter, and the entire town turning against Lacey seemed a little much. Actually, this is one of those books that I can appreciate for the skill with which it's written, but isn't to my personal taste. The romance seemed secondary to Lacey's post-letter awakening and as the narrative is told in a first person point of view (never a preference of mine for romance), I didn't get the sort of insight into Monroe that would have really fleshed him out as a romantic lead. I wasn't pleased with the reaction Lacey got for writing that letter nor was I thrilled with the direction of the book from there. All of the reactions to Lacey seemed so extreme, and the backlash for writing the letter so negative, I found it upsetting instead of humorous. Where were the Lacey supporters? Where were the women who admired her for doing what they wished they had done or could do? Was it just Maya? That's depressing. True, it's very southern in that accepting-whatever-crisis-comes-your-way-just-don't-make-a-scene sort of way, but I subscribe to the other southern way of handling a cheating spouse: gator bait. In the end, I just didn't feel like the story went in the direction my tastes and preferences lie, and the romance wasn't as large a part as I would have preferred. It's a good book, but it just didn't speak to me personally. I can't wait for Harper's next Naked Werewolf book, though. 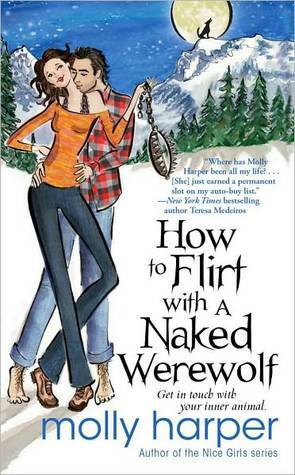 It's been a while since I've laughed as often as I did when reading How to Flirt with a Naked Werewolf and I can't wait to see what the little psycho Maggie has up her sleeve. Hello again Tracy. And I gotta say, wow, this must be the coincidence of coincidence that I'm midway through this book. So I sorta skipped your review. Will post it when I'm done :). I can't wait to hear your thoughts, Vids. Happy reading! Finally, I'm done with the book! I was wavering between 2 1/2 to 3 stars. I liked the writing style and I don't mind the first person. 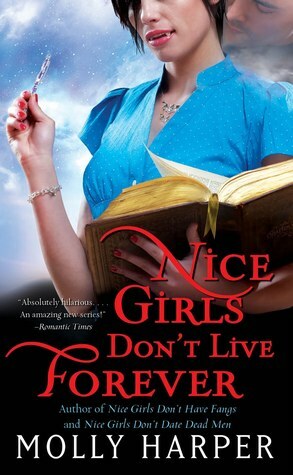 What I liked about the book was that it focused on Lacey's growth. And ultimately that frustrated me as well because the main character growth happened in the last 10% of the novel. True, Monroe was sometimes a bit heavy handed but she did not have the emotional maturity to handle it properly. And then suddenly, in the last 30 pages, she's able to? I could not buy that. Added to that, I had some of same issues you had with the southern setting and the reaction to her email. But you articulate it better than me. I have added her werewolf books to my TBR since I liked her style. Have you read her Jane Jameson books? I enjoyed them, even though my preferences for urban fantasy lie towards more conflict- or plot- driven fiction. I think it's Molly's sense of humor that draws me to her books, and beyond the letter that Lacey sent out, there just wasn't much in the way of comedy in the rest of this book. I completely agree with you about Lacey's growth being both the good and the not-so-good of the book, and also think that it would have been better had it started prior to the last 10% of the book. You're spot-on, too, about Lacey's lack of emotional maturity in dealing with Monroe, I think. I hope you let me know what you think of the Naked Werewolf series. Check out my review for that one when you get the first book read! I love to hear other's opinions! I just read the review and I want this book. It's so hard to find a book review that gives enough to want to read the book without giving away the best parts. THANK YOU!!! Wow! That's such a great compliment DW, because I strive to do exactly that; review without over-informing or spoiling. I'm never sure how I'm doing at that until someone tells me, so thank you!! 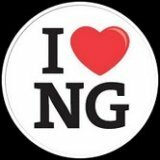 I hope you enjoy the book if/when you read it, and I hope you stop by here to post your thoughts on it if you do read it!